All property is divided in divorce. When dividing property, the court considers several factors including the length of the marriage and the financial differences between the spouses. When a marriage has lasted a long time or one spouse is severely challenged financially, the court may award a portion of your separate property to your spouse. It is a common belief that all too many spouses will take everything they can in a divorce. This doesn’t have to happen. Washington is a Community Property state. That means that, at the time of divorce, all of the family’s property and debts are before the court to be equitably divided between the couple. If there is no property settlement agreement in place, it is the court’s job to “equitably” divide all the family assets. Equitably does not always mean “equally”. The court will often award a greater share of the property and fewer debts to the lower wage earning spouse. Even property you owned separately before the marriage can potentially be divided by the court. Does this mean that one spouse gets to stay in the house and drive the cars while the other pays the mortgage and the car insurance? Not at all. All property including assets and debts are divided during a divorce. The court strives to give each spouse an equitable share of both debts and property. Divorce law in Washington generally regards assets and debts acquired during the marriage as Community Property, but everything the spouses acquired and owned before the marriage is Separate Property. Generally, each party is awarded their own separate property and a portion of the community property. When dividing property, the court considers several factors including the length of the marriage and the financial differences between the spouses. When a marriage has lasted a long time or one spouse is severely challenged financially, the court may award a portion of your separate property to your spouse. It can be extremely difficult to categorize property as separate or community after several years of marriage. Spouses often commingle their separate property with newly acquired community property. The court has a presumption in favor of community property. If a spouse cannot clearly “trace” the property as separate, it will be treated as community. Income from separate property creates new separate property, but profits from labor on separate property during marriage is community. Many spouses will need legal assistance to trace and categorize their separate and community property. It is vital for you and your attorney to be thorough in your valuation of the assets. You may need the assistance of real estate agents and/or accountants to provide accurate appraisals of property or business holdings. Once the divorce is final, the property and debt division included in the Decree is final and cannot be changed. 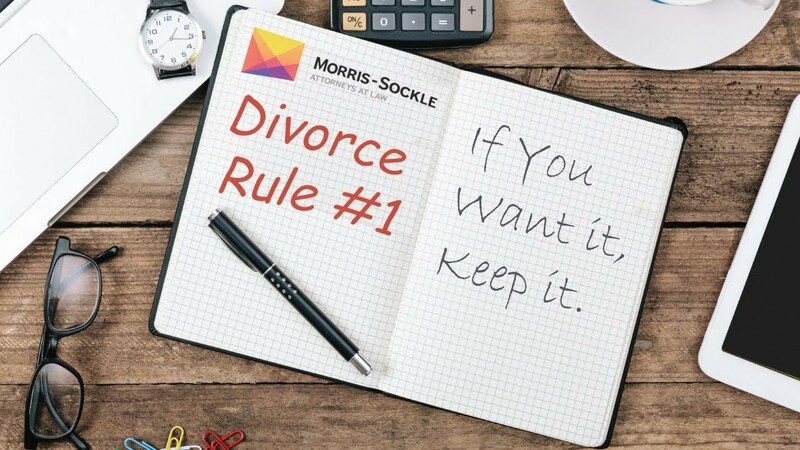 You only have one opportunity to win a fair division of the property and it must happen before the divorce is finalized. Characterizing property as “community” or “separate” is often one of the most difficult tasks during divorce. Many legal issues can affect that determination. It is essential to have a skilled attorney help you to navigate the difficult process of protecting assets.